Florida artisan, Carrie Fraley always wanted to create something all her own from start to finish, but didn't find an opportunity until she was looking for an activity to do while she was home raising her children. 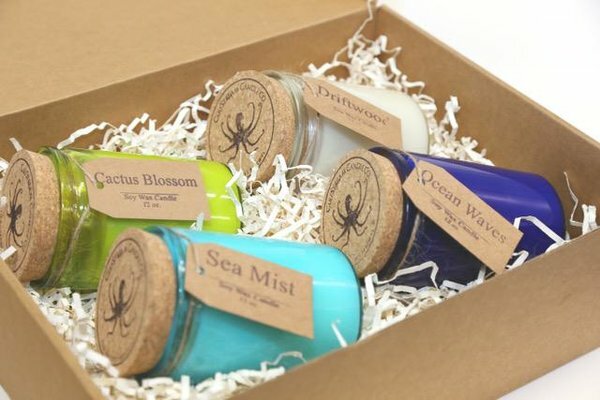 She found that starting a therapeutic candle line with a coastal theme really resinated with her love of the ocean and Florida coastal living. 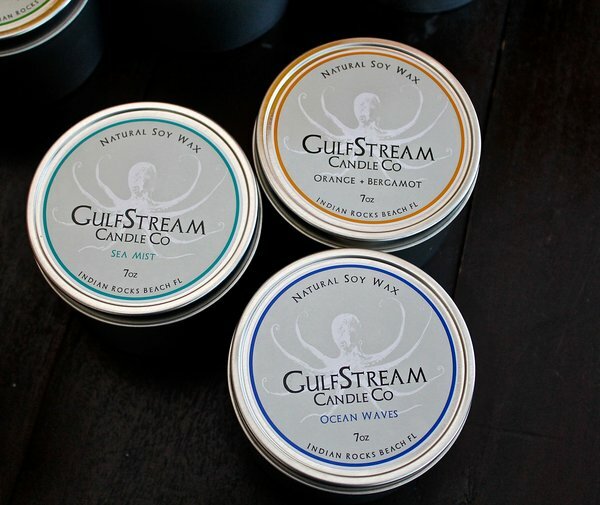 GulfStream Candle Company officially started in 2014. Living near the ocean in a small beach town in Florida has always served as inspiration for Carrie. Her idea to start a therapeutic line of candles came from what she wasn't finding in any of the candles that were already out there. She typically found candles that had overwhelming scents and weren't crafted to last given their high price. When she couldn't find what she was looking for she decided to create her own. 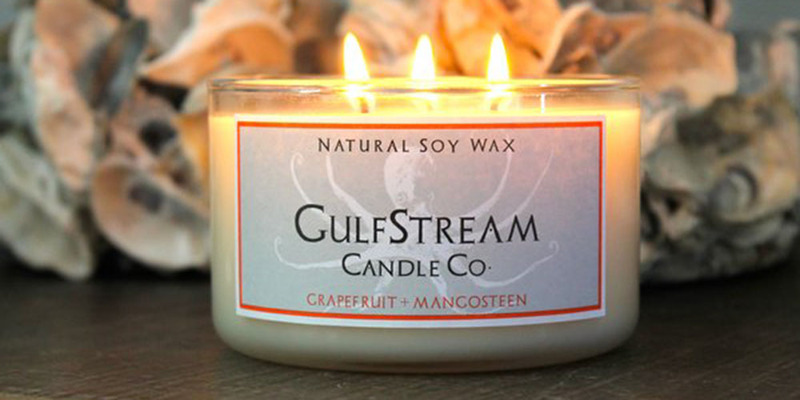 A natural candle that would burn long and evenly, and with that GulfStream Candle Company was born. Carrie admits that her business grew pretty organically from her website and when she was able to get her product into a local Ace hardware gift center. Each batch is personally created by Carrie herself in her own warehouse. She will usually start a batch two to three days before an order has to be shipped out. She also completes all of the packaging herself using all recyclable materials. Her logo is even a painting she did herself. All GulfStream candles are produced in small batches to ensure the fragrance is evenly distributed. They're made using 100% soy wax produced from soybeans all grown in the U.S. and natural wicks without the use of dyes to create a fragrant, clean burn. The wax is first heated and poured before adding the fragrance. The wax must be heated to the right temperature before the fragrance is added to ensure it doesn't get lost in the process. Once the fragrance has been added to the mixture it is then blended thoroughly. The wick is then attached followed by the pouring of the mixture into the packaging. The mixture then sits out for a day to harden. 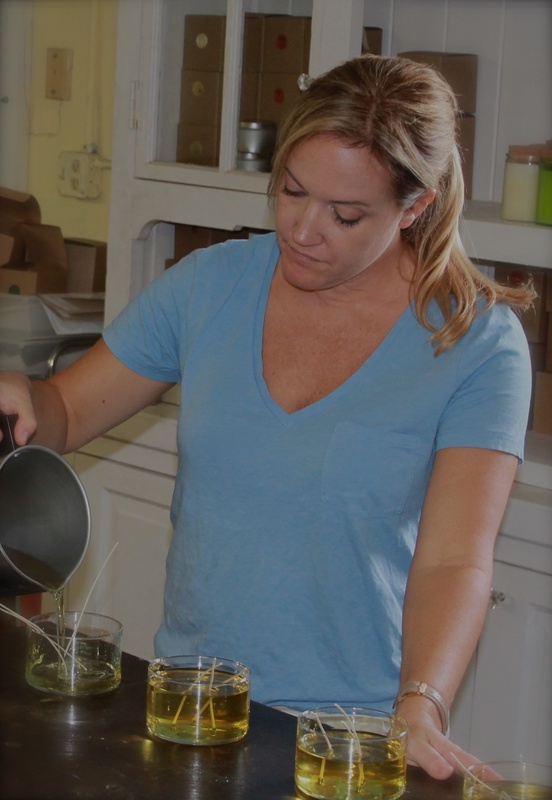 Carrie says some of the most difficult aspects of creating her product is coming up with new scents and ensuring GulfStream candles don't lose any authenticity by producing large batches. She wants her customers to know that GulfStream candles is a strong coastal inspired brand that stems from a small, local family business. "I think it's important that my customers know that everything being produced is produced in my warehouse by me. Finding the materials, mixing the batches, all of the packaging, it's all done by hand and that makes it even more special," Carrie says. 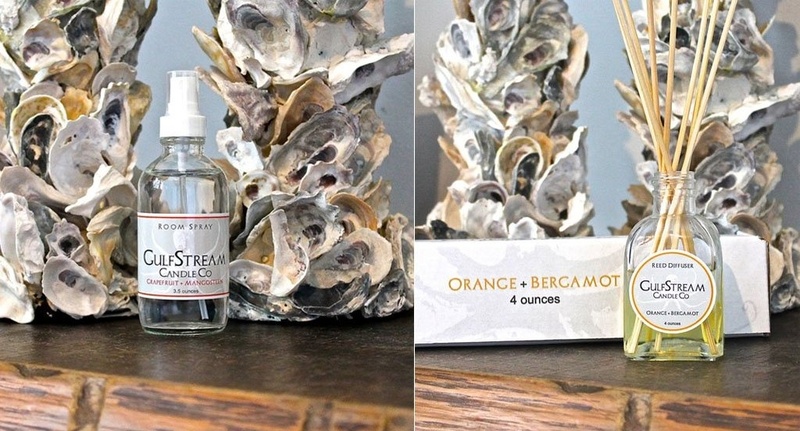 GulfStream candles also creates room sprays that are made of fragrance oil, distilled water, and vegetable glycerin, as well as room diffusers. 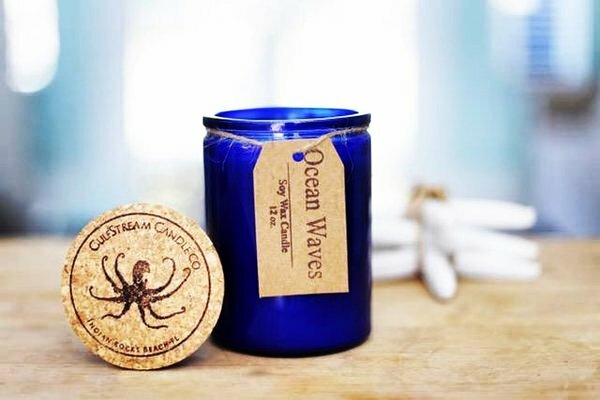 The perfect products to bring a part of the ocean home with you.